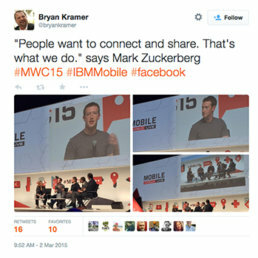 In 2015 IBM Mobile wanted to make sure it was being heard at one of the noisiest events of the year: Mobile World Congress. Over a three day period PureMatter made sure that the #IBMMobile signal came through loud and clear. One of the keys to our success was our Tweetchat hosted by PureMatter founder and CEO @BryanKramer. 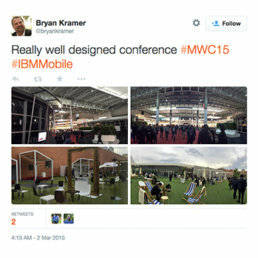 Leveraging the hashtag #IBMMobile, we designed the campaign to maximize messaging, amplification, and engagement via guest and topic selection as well as timing.